Happy Birthday Internet (of Things)! 50 years have passed since the birth of the Internet and 20 years when creating the word Internet of Things. But, despite age, we are now in the full development phase of the IoT! The Internet of Things Observatory investigates the current state-of-the-art of IoT applications, identifying the most interesting projects, market evolution and competitive scenario,including innovative technologies integrated by big players and startups. 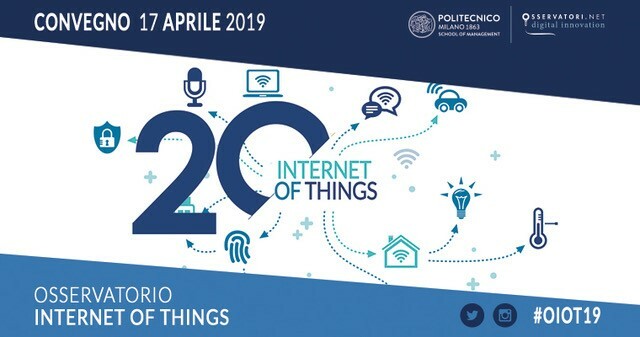 The event will be held on April 17th at 9.00 am at the Aula Magna of the University of Milan ‐ Bicocca, building U6, Piazza dell’Ateneo Nuovo n ° 1, 20126 – Milan. TESISQUARE, partner of the Observatory, will be participating in the event.